When it comes to Italy, San Diego has a surprisingly deep connection. Italian immigrants streamed into San Diego after San Francisco’s 1906 earthquake, where their previous homes and businesses were destroyed. They settled, of course, in what’s now known as Little Italy, which has since grown from being an Italian fishing neighborhood to becoming the city’s premier wining and dining destination. 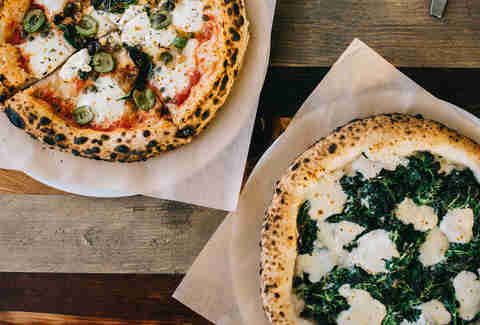 From painstakingly-sourced handmade pizzas to innovative pastas, there’s something for everyone in San Diego’s many Italian restaurants. Here are some of the best. Calabrian brothers Dario and Pietro Gallo moved to San Diego in 2013, collaborating with Little Italy restaurateur Flavio Piromallo to open Civico 1845 in 2015. The menu spans pastas, mains, and antipasti, but their seafood dishes (like the Scialatielli Civico with house-made Calabrian chili pasta, Caledonian prawns, and cherry tomatoes) shine among the other options. Civico 1845 is also known for having an extensive vegan and gluten-free menu -- all you have to do is ask for it. Farm-to-table fanatics will delight in the options at Downtown’s Biga, where owner, chef, and Culinary Institute of America graduate Tae Dickey makes his own mozzarella, sausages, and other charcuterie. He's also obsessive about sourcing fresh and local ingredients and works directly with farms and farmers markets to stock his menu. 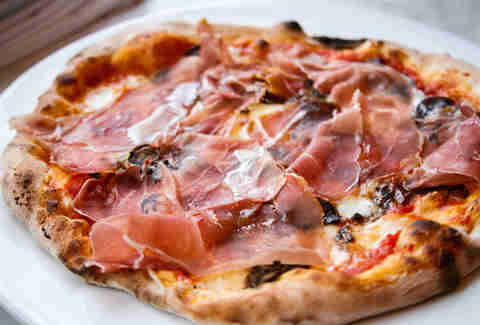 Dickey is particularly famous for his pizzas, which he cooks in two custom-built, 900-degree ovens, but the menu spans pastas and other mains, too, along with regular specials and pop-up dinners. Break with tradition and try a pasta -- the cauliflower rigatoni with roasted and shaved cauliflower, hazelnuts, bottarga, cauliflower cream, and bee pollen is unlike any other pasta dish in the city. With one of the best views in all of San Diego, Catania in La Jolla could get away with serving just so-so food. 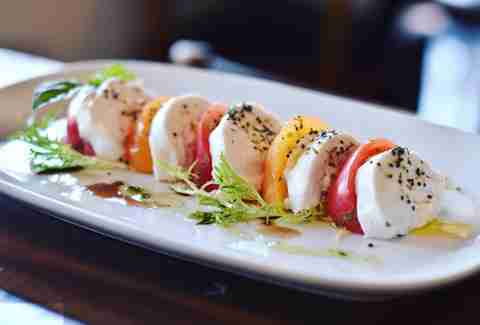 In addition to those sweeping views of downtown La Jolla and the Pacific Ocean, though, Catania is serving a wide variety of regional Italian fare like pizzas, crudos, salads, pastas, and a variety of antipasti. Concerning the pizzas, the Sicilian pistachio pizza with burrata, mortadella, pistachio pesto, and pecorino Toscano is a can't-miss option, while among the mains, you can't go wrong with the whole-roasted branzino with manila clams, charred broccoli, garlic butter, white wine, salsa verde, bread crumbs, and capers. 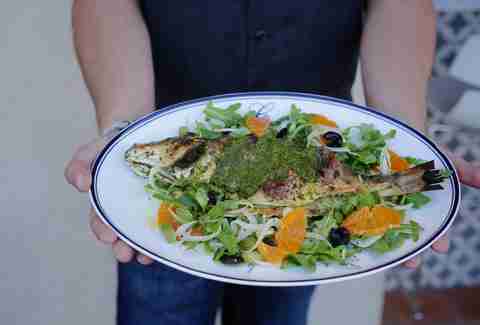 The name almost says it all: you're going to Italy’s RoVino for rotisserie and wine. The pollo arrosto is the star, and is a half rotisserie chicken that's served on a wooden cutting board with garlic, herbs, olive oil and a selection of roasted potatoes and vegetables. Also worth trying is the carne miste, which serves two, and includes a porchetta in addition to the standard rotisserie option. Steak, branzino, and shrimp are also delicately grilled served full of flavor. The wine list features some of the best selections from across Italy, including regions like Piemonte, Toscana, and Sicilia, along with some lesser-known picks from Sardinia, Puglia, and Trentino-Alto Adige. When you eat at Bencotto, you're getting pasta. Definitely pasta. There’s no better place for a bowl of carbs in San Diego, where multiple varieties, ranging from fusilli to gnocchi, are made fresh daily. Design your own bowl by selecting the sauce and pasta type. If you’ve never tried the salsiccia (Italian sausage in a spicy tomato sauce) with a broad noodle, like tagliatelle or pappardelle, now's the time. The sleek, industrial decor and energetic dining room make it a great choice for dinner, but floor-to-ceiling windows that splash the space with natural light mean it’s equally excellent as a lunch pick (and because portions are generous, leftovers are more than likely when you dine midday). Owned by the same team as Bencotto, Monello has a similar aesthetic, but feels a few degrees more casual. 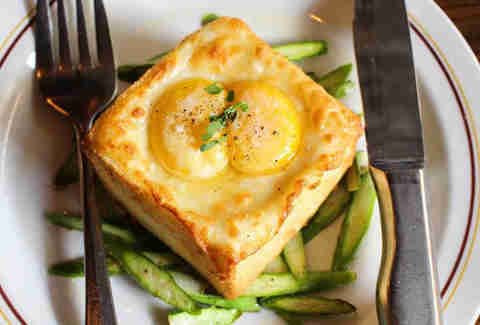 The extensive menu features several pizzas, seafood, delicious fried things, and a lot more. If you’re craving a bowl of pasta, you’ll be well served at either location, but Monello gets bonus points for its pizza oven, being one of only a few Italian restaurants with a dedicated brunch menu, and for offering a free small plate with a drink purchase during aperitivo (4 to 7pm, daily). You can't go wrong with the polipo alla griglia (grilled octopus with arugula, fennel, and tomatoes); spaghetti with ragu, or Isola Galleggiante, a mound of soft, baked meringue with crème anglaise and fresh berries. Accursio Lota, the Sicilian-born chef that helms this Southern Italian restaurant, has earned a lot of recognition from local diners (and publications) for his carefully updated classics, like carpaccio with balsamic pearls and cheese foam, and carefully executed pasta, like Carpaccio di Wagyu and Gnocchi al Nero (squid ink gnocchi with orange zest, served with calamari, sea urchin, and roasted almonds), and pizzas. The Liberty Station location makes parking a breeze, and there’s also a wide, covered patio with a serene view of a grassy field. 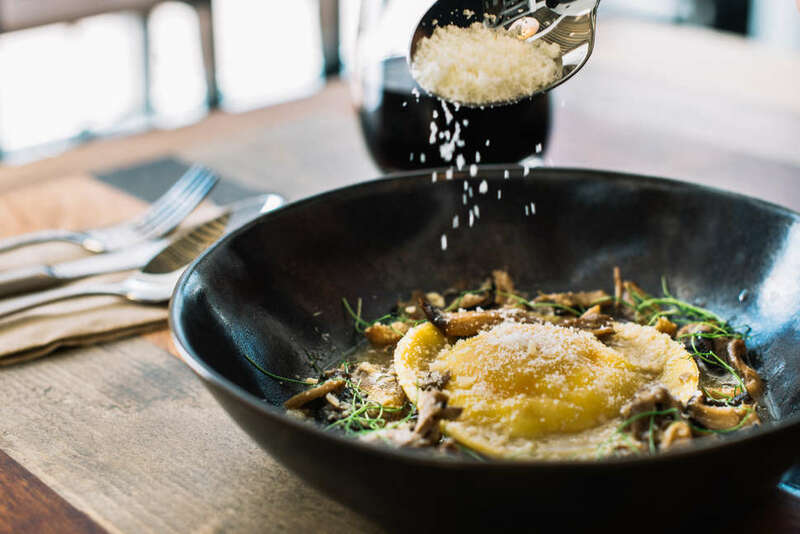 Straightforward presentations of rustic Italian fare make this Chicago import right at home in San Diego, but prepare yourself mentally and emotionally to eat unseemly amounts of carbs and cheese at Davanti Enoteca. Start with shared plates like the egg truffle toast with fontina and asparagus; roasted tomato with pesto, burrata, and toast; and an order of focaccia di Recco with honeycomb. 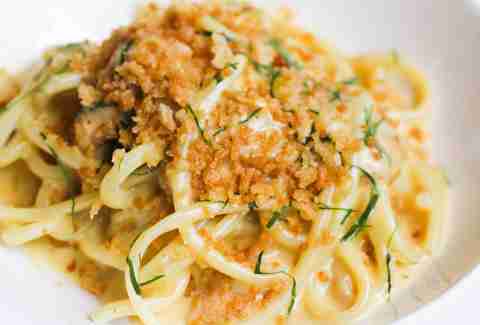 Then, move on to cacio e pepe (spaghetti swirled with pecorino cheese and black pepper) or mascarpone polenta with ragu. There’s also excellent goat cheese cheesecake with salted caramel drizzle, but it’s so huge, you should probably get it to go. This cozy spot is suitable for everything from a quick bite and a cocktail after work to a full-blown family dinner where everyone, including the dog, is invited (both locations have a pet-friendly patio). 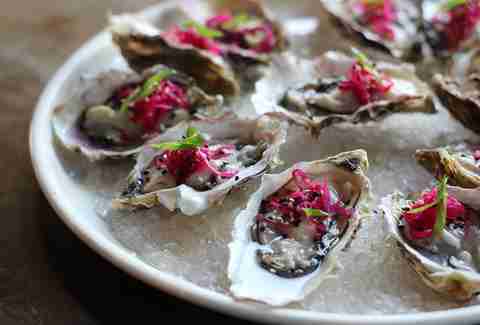 Visiting this trio for a meal is a must for any San Diegan serious about good food. Cucina Urbana, Enoteca, and Sorella have the same modern-yet-chic decor, with eye-catching elements like pillars clad in colorful reclaimed wood or antler chandeliers. Go for the fried squash blossoms stuffed with herbed ricotta, basil pesto, and lemon aioli (as a shared app) and whatever pizza tempts you the most. Cucina Sorella, the newest outpost in Kensington, also has a large outdoor patio, a small wine and food shop, and a variety of killer pastas -- the gnocchetti sardi with spicy pork sausage, broccoli rabe, tomato and sage brown butter is a winner. Got a sweet tooth? You’ll want to reserve room for something like ricotta zeppole or dark chocolate budino. 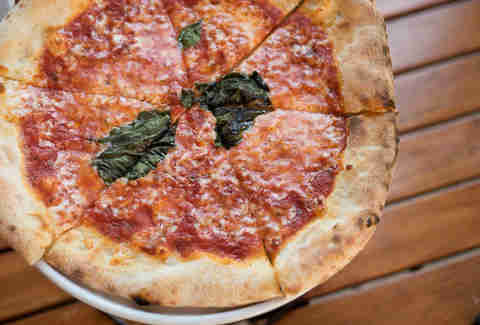 This favorite among neighborhood locals (and not-so-locals) churns out top-notch thin-crust, Neapolitan-style pies. The 35 different pizzas on offer -- mostly with proper, Italian names -- range from margherita (the gold standard upon which any pizzeria can be measured), to pies topped with shrimp, salmon, speck, and even fried eggplant. The small dining area can get crowded, but pizzas cook in minutes, so it’s rare to have to wait very long once you’re seated. Nab yourself a red pie, a white pie, and an order of ravioli. And though it's known for pizza, the pasta here is no slouch. Finish it off with some of the tiramisu -- it’s so tasty that you'd be crazy not to order one per person.